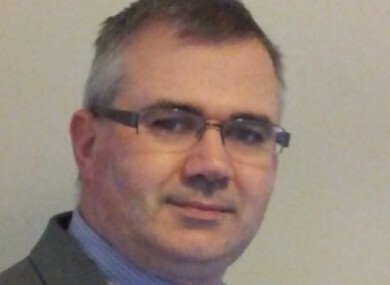 CORK-BASED SOCIAL Democrat Ken Curtin has been dropped as a Mass lector over his party’s stance on abortion. The former election candidate only became aware of this after a service last Sunday in St Colman’s Cathedral in Cobh. Receiving no prior warning, Curtin found out that he had been omitted from the list of mass speakers after checking the rota at the end of the service. “When I enquired why, I was told to go over to talk to the parish administrator Father McCarthy, which I then did,” he told RTÉ’s Morning Ireland. [I discovered] that Father [John] McCarthy had made the decision to remove me from the list of lectors because of my party, the Social Democrats’ position, supporting a referendum to repeal the Eighth. Curtin said that it had come as a shock that his name had been removed from the list of lectors without any notice. During their discussion, Curtin claimed that Father McCarthy had also mentioned his advocacy for the marriage referendum last year. Curtin said that he intends to escalate the matter, and has requested a meeting with the Bishop of Cloyne William Crean. The Social Democrat shot to prominence last year after his decision to leave Fianna Fáil in the wake of the marriage referendum. He was one of Fianna Fáil’s biggest advocates for a Yes vote in the area, and previously served as the party’s public relations officer for Cork East and its secretary for the Cobh cumann. Curtin later joined the Social Democrats, and ran in the February General Election as the party’s candidate in Cork East – receiving 1,386 first preference votes. - Father John McCarthy has been contacted for comment. Email “Cork-based Social Democrat dropped as mass reader over party's abortion stance ”. Feedback on “Cork-based Social Democrat dropped as mass reader over party's abortion stance ”.